The Black Collection of household electrical light switches and plug sockets is unique in its simple black styling. With its plain black metal back plates, this range is an ideal design choice for minimalist and contemporary interiors. This range is a full collection of electrical fittings including TV and telephone points, cooker points plus the full range of electrical sockets and switches. 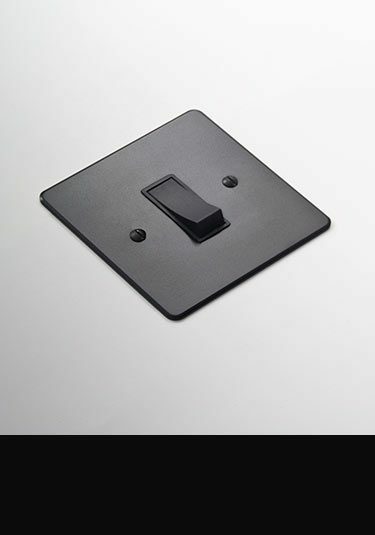 Luxury British manufactured light switches in a black finish available with toggle, rocker and dimmer switches. 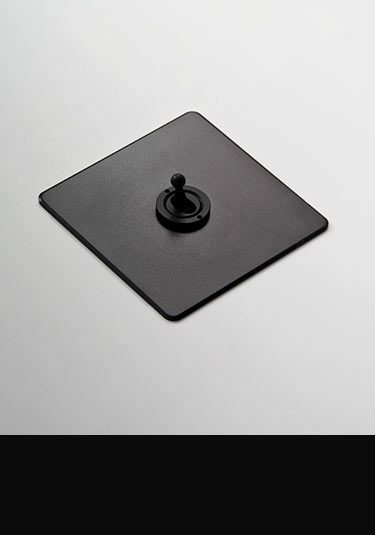 A lovely quality toggle light switch in a satin black finish. 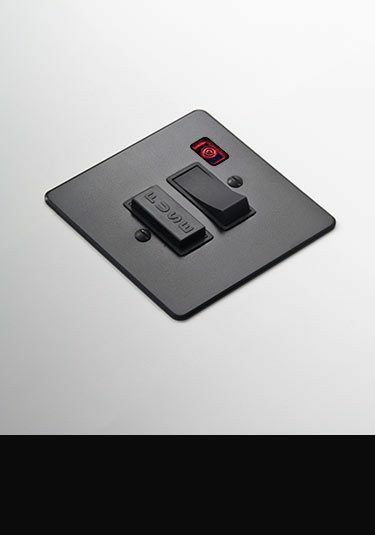 This electric household switch is a designer finishing touch to high quality interiors. 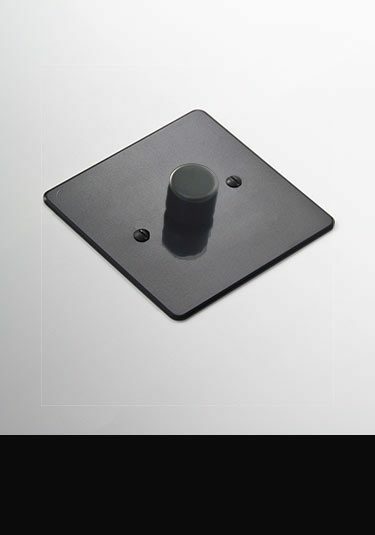 A beautiful quality dimmering light switch that is finished in a contemporary satin black onto a solid matel backplate. These dimmer light switches are a luxury finishing touch to designer interiors. 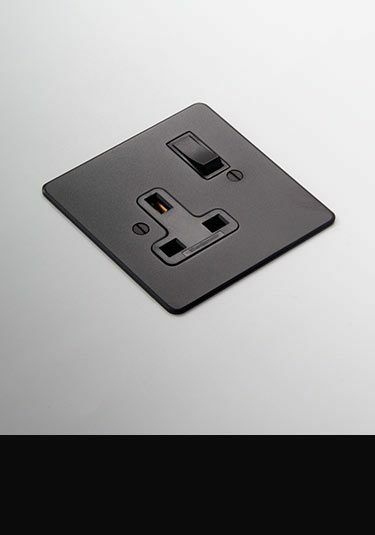 High quality satin black electrical single socket that is designed and manufactured in Britain. 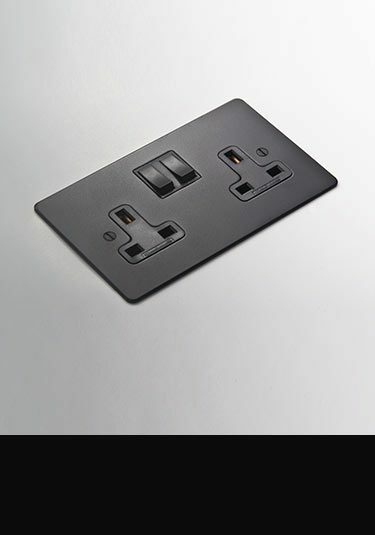 Full collection of electrical sockets and plug sockets finished in a contemporary black. Full collection of matching black household sockets and switches including telephone, TV and satellite sockets, fuse spurs and cooker and data sockets. Made in Britain.